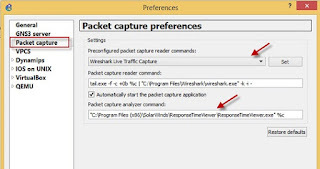 In this article I will show you how to use Wireshark with Gns3 for packet capturing. Wireshark is a packet capturing and network analyzer software also known as sniffer or network sniffer. 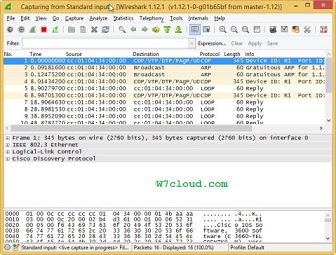 Wireshark will allow you to see, even under detailed level, what is happening in your network. It is also free, open source, cross-platform. I personally rate it is the best tool to network audit and for packet analyzing and capturing. It has a graphical interface and many options for organizing and filtering information. So, you can see all the traffic passing through a network. Using different filters you can analyze the specific protocol packets, like if you want to analyze the routing protocol handshaking of any protocol you can achieve it with wireshark and Gns3. 1. it will ask you for interface selection, select the interface you want to capture the packets. 1. 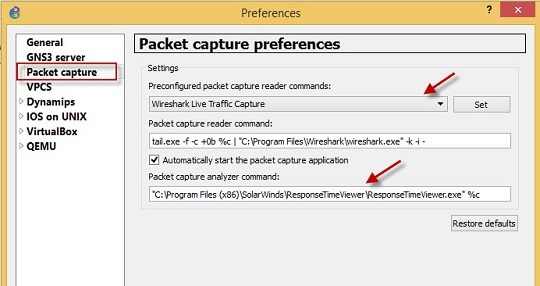 Once you have selected your interface click on OK, this will open the wireshark, where you can see the all network packets movement access the selected interface. I hope this short article is helpful for you and thank you for reading it.